Specializing in the Town of Dennis, Massachusetts, Martha Murray Real Estate offers one of the largest selections of vacation rentals on Cape Cod. Locally owned for over 35 years, we know the beach towns of Cape Cod better than anyone. Our wide selection of Cape Cod rentals makes it easy to find the perfect vacation rental for every budget and lifestyle. We work closely with every one of our clients to ensure that you find the perfect home on the Cape. Cape Cod is known for its classic New England towns. 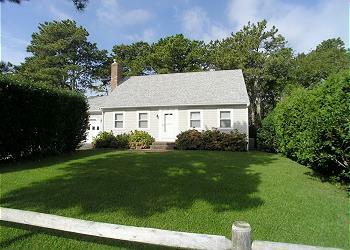 From Dennis and Harwich to Yarmouth and Brewster, there are beautiful beachfront rentals and classic Cape Cod cottages. We have helped thousands of people rent or buy a dream home on Cape Cod. 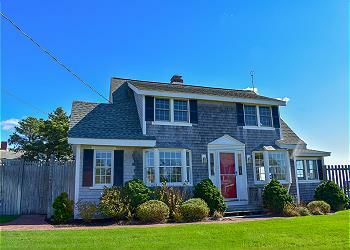 We understand the nuances of the Cape Cod real estate market and ensure you receive true value. The Cape Cod Rail Trail follows a former railroad right-of-way for 22 miles through the towns of Dennis, Harwich, Brewster, Orleans, Eastham and Wellfleet. Its paved surface, few hills, and well-marked automobile crossings make it ideal for cyclists. Spring is special on Cape Cod and spring break offers many opportunities for family fun. Far away from the crowds, the beaches and towns of the Cape provide the perfect atmosphere for families to enjoy the Cape before the busy summer season. Brewster in Bloom is a fun annual Cape Cod festival that celebrates the coming of spring. For three days in early May, the streets of Brewster come to life with artisans, concerts, and fun activities for the whole family. The Rhododendron Festival is a beautiful Cape Cod event that highlights blooming flowers at the Heritage Museums & Gardens in Sandwich, Massachusetts. Every spring, as Cape Cod flowers are in full bloom, visitors enjoy guided demonstrations and learn about caring for rhododendrons.